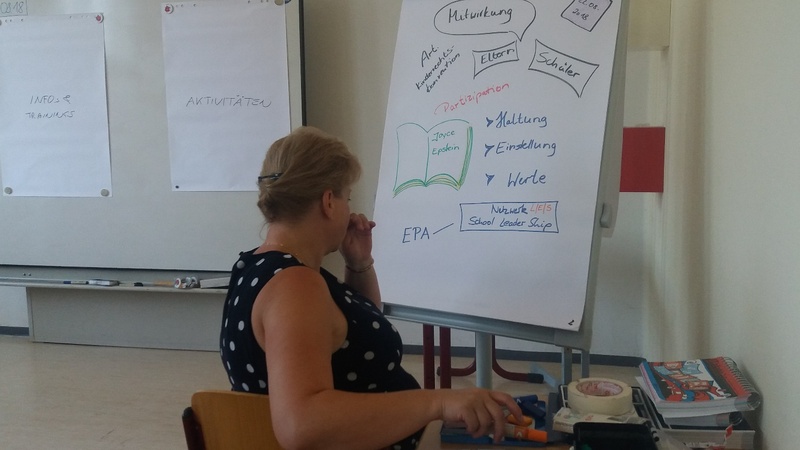 The first workshop was successfully held on 22.08.2018 in Germany at the Marie-Elise-Kayser School in Erfurt, Thuringia. 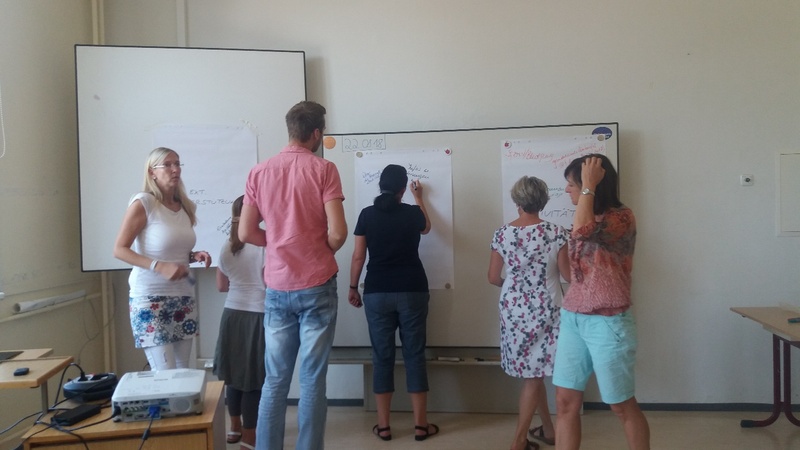 23 teachers took part in the training on strengthening cooperation between teachers and parents with migration background on the Open School Doors project. 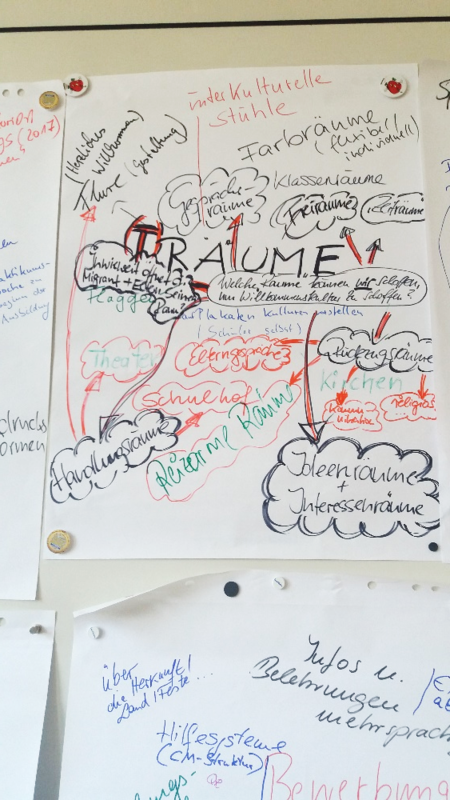 The trainer team was composed of Prof. Dr. Köhler (TU Dresden), Ms. Brigitte Haider (International Parents Association), Ms.Evelin Becker (TEDCO GmbH), Ms. Homid and Ms. Sperling (TU Dresden). The expertise of Ms. Haider and Ms. Becker contributed to the success of the training and made many discoveries among the teachers. 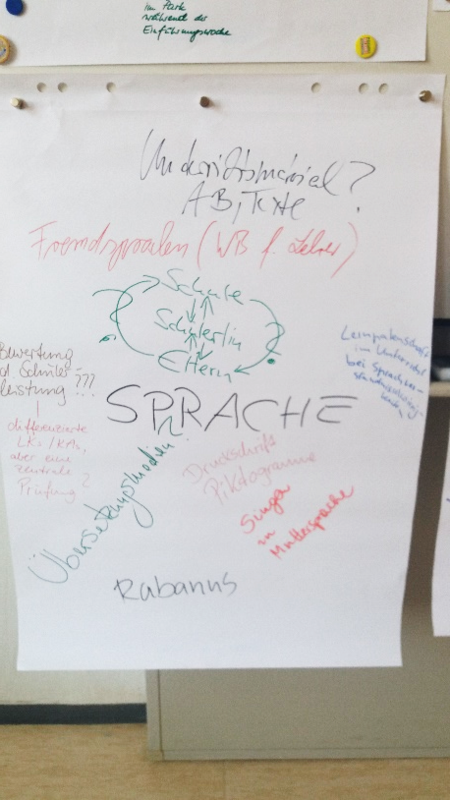 In a short introduction, Prof. Dr. Köhler presented the key findings from the first phase of the project. Subsequently, Ms. Haider continued the training with practical exercises. Here, the content from the online training program has been integrated. The aspect of welcome culture was discussed in detail. 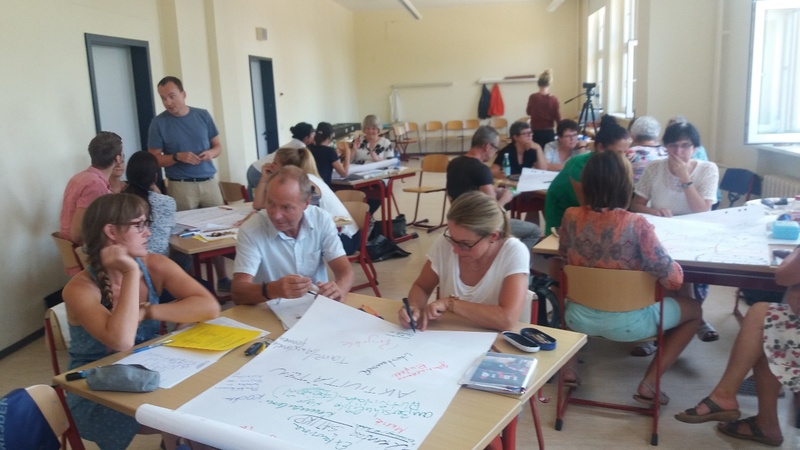 The teachers worked in small groups and produced posters about language, information, rooms, external support, information/ training. You can see the results in the following pictures. 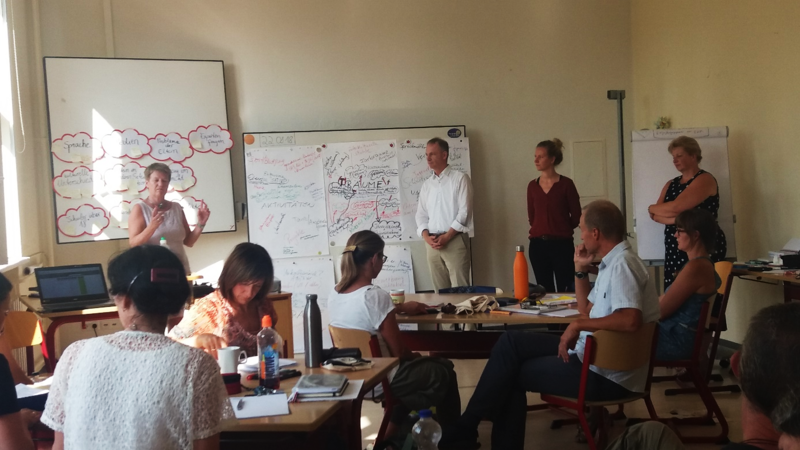 In the second part of the training was discussed about jointly events which have already been implemented in the school and which can be extended in the future. 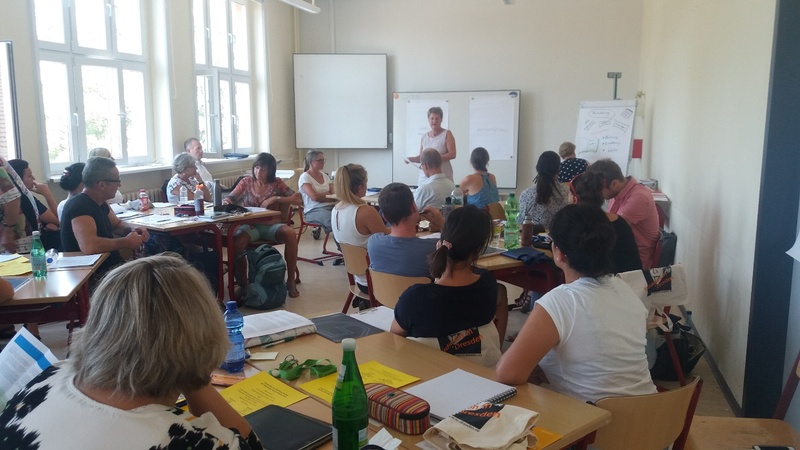 One important finding during this training phase was the following: The best time to start cooperation between parents with migration background and teachers is at the „Day of the Open House“. Here, the children and youth visit the school together with their parents to find out about the educational offers. If this already results in open-hearted and friendly interaction, this can significantly influence the future cooperation. To support the welcome stage for the parents at the school, the teachers would like to invite interpreters to the open house in the future so that language barriers can be reduced. 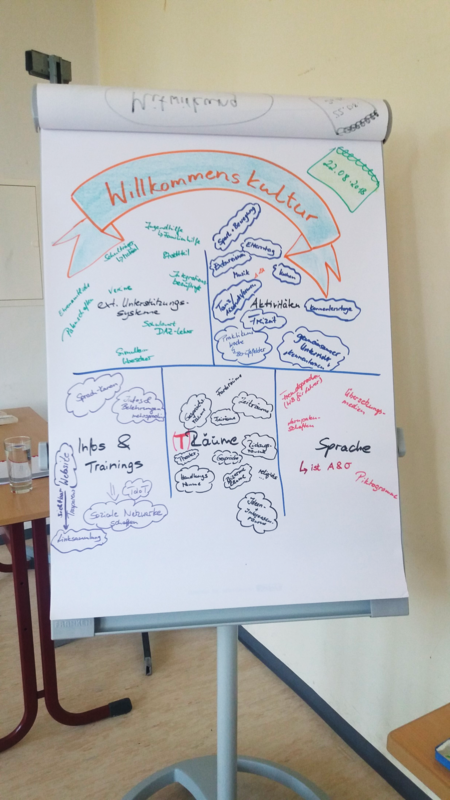 The workshop was very lively and varied. The previous experience of the teachers enriched the work in the training phases, so that many very good results could be presented. 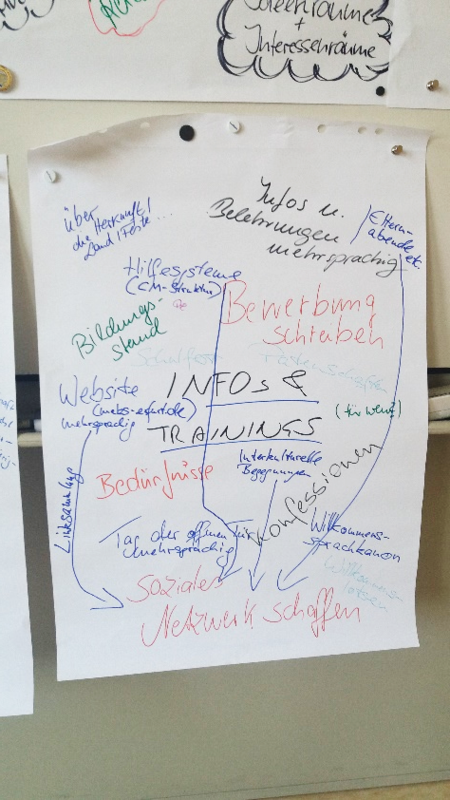 The trainees then commented that they wanted more practical tips to try out at school. 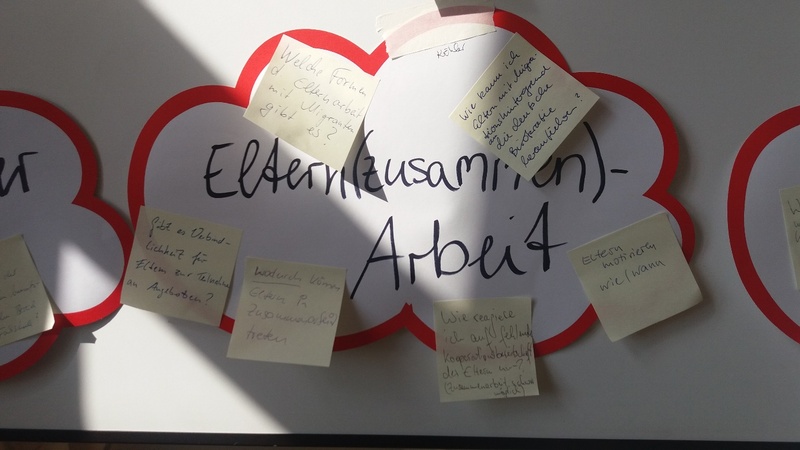 The coaches were able to provide a positive outlookon these wishes by inviting the participants to Dresden for the second workshop. In January 2019 concrete practical examples will be passed on to the participants in further workshops.